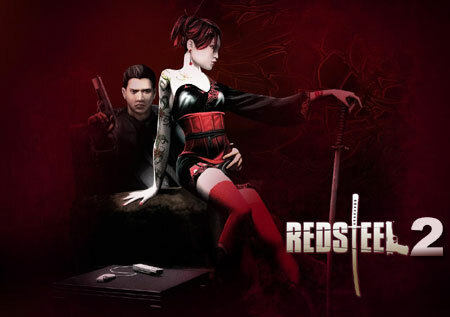 Famitsu Magazine is reporting that Red Steel 2 is well on its way to meeting its March release date. The game is 95% complete, but not yet debugged. The art is cel-shaded to suit the Wii and the Wii MotionPlus censor. Dual-wielding guns will be available in the gun, as an upgrade you buy with money you earn while playing. There are three different clans, assorted bosses, and about 40 different enemies you can encounter. Apparently the game developers didn’t want to use actual Japanese words, so they used google to search for Japanese words that didn’t mean much of anything, save for “Kusagari.” Kusa is grass and was apparently once used for ninja, according to Famitsu. Tagged Nintendo Wii, Red Steel 2.